SP Screens Port Macquarie services all areas around Port Macquarie, including Wauchope, Camden Haven and surrounding towns and villages. Our local team installs everything from retractable fly screens, shutters and blinds to our most popular product – security doors & windows. 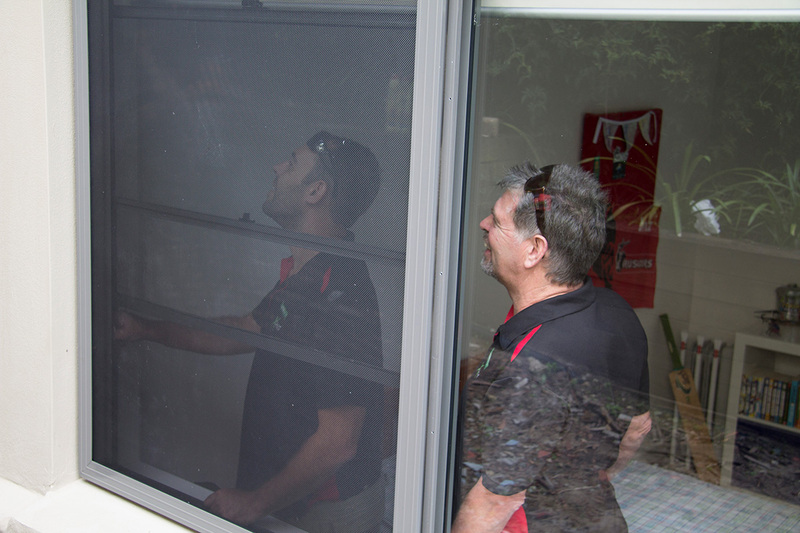 At SP Screens Port Macquarie, our top priority is to provide our customers with a product solution that ensures their comfort and safety, at a fair price. We understand that screens, shutters and blinds provide comfort to a home however, we ensure they improve the look of your home. This is why we stock a diverse product range in a great selection of styles and colours. We ensure that we have a product that will compliment your home, whatever the style. SP Screens has experience securing industrial, commercial and Government buildings. Our professional team specialises in securing schools and retirement villages. We currently work with a number of real estate agencies, ensuring a timely and quality experience for every customer. We pride ourselves on being friendly and courteous, on-time, clean and with straight-forward pricing. For your piece-of-mind we are security licensed and our products all pass the Australian Standards. Port Macquarie offers the perfect climate to keep your front door open to enjoy the coastal breeze flowing through your home in summer. A Security Door will allow you to continue to enjoy that breeze while offering protection from intruders and bugs. We have a range of security doors to suit all budgets and they all meet Australian standards, and are fitted by our local security licenced installers. Security screens on high level windows are a great way to protect your family from window falls that can happen with flimsy flyscreens. Security Screens on ground level homes are a great way to allow you to open up your windows throughout the day or night without the fear of an intruder climbing in. We love the great outdoors in Port and many of us spend a lot of time enjoying our yards and alfresco areas. Retractable flyscreens are a great way to screen wide door openings like bi-fold doors that lead out to outdoor areas. Retractable can span up to 9 metres wide and discreetly store in the door frame when retracted and not in use. Aluminium slatted privacy screens are a modern way to fence and screen your property. We custom make our slatted privacy screens and install to fit and colour match your home perfectly. They are used in a wide range of scenarios around the home such as fencing, gates, bin/pool/filter enclosures etc. Plantation shutters are a classic and practical way to bring style to your window dressings. We custom make both PVC and timber plantation shutters in a range of colours to look stunning in your home. Our installers pride themselves on their craftsmanship and will ensure you get a quality finish. Choose from block-out fabric or a lighter sunscreen fabric or somewhere in-between for your new outdoor roller blinds; we have a huge range of fabrics to choose from. Outdoor roller blinds allow you to enjoy our outdoor areas longer during extreme weather by reducing heat, blocking out or filtering direct sunlight and protecting against wind and rain.